Refer to the following table for a snapshot of the overall system requirements for Office 2013.The information that follows this table outlines any additional requirements for specific components of Office 2013, including add-ons and tools. PowerPivot To use PowerPivot, you must have .NET 3.5 or .NET 4.0 and at least 2 gigabytes (GB) of RAM. PowerView add-in To use with the PowerView add-in, you must have Silverlight 5.0 installed and at least 2 gigabytes (GB) of RAM. Programmability Programmability scenarios require .NET 4.0. Microsoft LyncLync 2013 has different hardware requirements from those that are listed in the system requirements Office 2013 for Personal Computers–standard system requirements table above. Refer to the following table for personal computer system requirements or recommendations that are specific to Lync 2013. The information in this table outlines additional requirements for specific components of Lync 2013. Shared folders For every 10,000+ users, 11 gigabytes of disk space to act as a temporary store for telemetry data. For integration with Exchange Be sure to connect Outlook 2013 to the supported versions of Exchange: Exchange 2007, Exchange 2010, or Exchange Server 2013. Outlook 2013 is not supported on Exchange 2003. For integration with Microsoft Exchange Server 2013 and Lync Server 2013 (optional) Some features require Exchange Server 2013 and Lync Server 2013.For a list of some new Outlook 2013 features that are enabled with Microsoft Exchange Server 2013 see What’s new in Outlook 2013. For integration with Microsoft Lync (optional) Office Communicator 2007 R2, Microsoft Lync 2010 and Lync 2013 are supported with Outlook 2013. Office Communicator 2005 and Office Communicator 2007 are not supported. Inking features Certain inking features require Windows 7 or Windows 8. IRM Information Rights Management features require access to a computer that runs Windows Server 2003 with SP1, Windows Server 2008, Windows Server 2008 R2, or Windows Server 2012 and Windows Rights Management Services. Dynamic Calendars Dynamic calendars require server connectivity. Advanced Certain advanced functionality requires connectivity to Exchange Server 2010 or Exchange Server 2007, SharePoint Server 2007, SharePoint Server 2010, or Windows Server 2003 with SP1 running Windows SharePoint Services. Microsoft ID Certain features require a Microsoft ID (Windows Live ID). SkyDrive integration Users must have a Windows Live ID. To create a new Project Site from Project Server 2013 you must use SharePoint Server 2013. 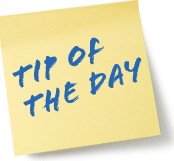 Co-authoring Co-authoring requires SharePoint Foundation 2013 and a Windows Live ID account for SkyDrive. It might also require more memory than the amount listed in the Office 2013 for Personal Computers–standard system requirements table above.